At DiGiovanni Homes, we want the best for our home buyers. it is important to us that you are completely satisfied with your new home. Because of this, we are dedicated to offering a wide selection of high-quality finishes and superior upgrades to choose from. A frequent question we get from our buyers is, what suppliers do you use for the home finishes? Daltile, the largest ceramic tile brand in the U.S. and one of the largest tile brands in the world. Founded in 1947 in Dallas, Texas, Daltile boasts a rich history brought to life through the manufacture of ceramics, mosaics, porcelain, quarry tile and a variety of stone products. Today, as a subsidiary of Mohawk Industries, Daltile is the largest ceramic tile manufacturer in the U.S. and one of the largest tile manufacturers in the world, employing over 10,000 associates. They currently operate 11 manufacturing facilities in North America, five Regional Distribution Centers, and over 250 Sales Service Centers (SSCs) throughout the U.S., Canada, and Puerto Rico. Daltile products are sold through company owned SSCs, home centers (Home Depot, Lowes, etc.) and through independent distributors. As the nation’s top tile manufacturer, they abide by the highest industry standards. From corporate ethics to sustainability, our commitment to the earth and to our customers remains the same: creating quality products that people and businesses can trust and believe in. Brian Thomas and his sons, Nathan and Brandon, run a family-owned-and-operated business located in Largo, Florida since 2000. They have an excellent reputation and provide a mixture of entry-level and fully customized cabinetry throughout a home in Tampa Bay. They offer a wide selection of wood products, colors and finishes for any budget and style of home. Family-owned-and-operated business since 2000 located in Largo, Florida. Brian Thomas and his sons, Nathan and Brandon, fabricate and install Stone countertops that include quality granite, marble and quartz. This family takes pride in all projects and are involved in the entire process from start to finish. Stewart’s Flooring offers in-home service and are very experienced in the commercial area and are located in Tampa, FL. Stewart’s Flooring America is more than just a flooring specialty store. They are experts trained in flooring sales and design and will help you find the perfect floor for the way you live. They provide hardwood, carpet, laminate and vinyl options for every price range and style. As part of America’s leading flooring retail group, their 500-store nationwide buying power guarantees you low prices on thousands of carpet types and other flooring options backed by the most solid warranties in the floor covering industry. 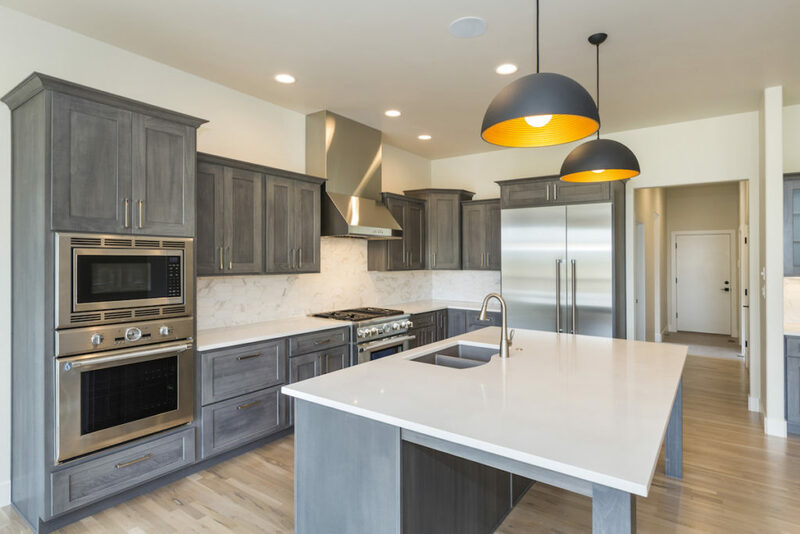 If you’re looking for a new home built by a premier homebuilder with quality finishes, visit DiGiovanni Homes at Montclair Lake Townhomes and Villas at 2251 Montclair Road in Clearwater, or call Patrick at 727-637-5134. If you’re ready to buy a new home, check out one of the DiGiovanni Homes available! Our new homes offer spacious, open floor plans in the form of single-family homes, condos or townhomes in Tampa Bay’s best communities. Visit Digiovannihomes.com today to learn more!